There’s sometimes fear and anxiety amid talk of spine surgery, but this is often due to misinformation. The truth of the matter is that spine surgery techniques and equipment have advanced to be less invasive, and more successful, than ever before. SPINE/RX is committed to keeping our patients in the know. If you have questions about spine conditions and spine surgery procedures, you’ve come to the right place. Spine surgery might be necessary when the vertebral bones or discs in your spine become so weak or damaged that medication, rest, physical therapy or other non-surgical treatments do not relieve your pain. The decision factor for our patients is whether or not the pain or motor function loss caused by injury or spinal condition is inhibiting their ability to live normal, happy lives. Your surgeon will have an in-depth conversation about the risks and benefits of any recommended procedure or surgery. When pain or disability due to a spine condition becomes too great, patients turn to SPINE/RX for minimally-invasive surgery. We work to relieve your pain quickly, with minimal scarring and shorter recovery periods. Is minimally-invasive spine surgery safe? Minimally-invasive spine surgery is safer than ever before. Many advances have been made in the field of spine surgery over the past several years. Our modern equipment, laser technology, and advanced methods can ensure minimal risk when it comes to surgeries. Many of our state-of-the-art procedures are offered on an outpatient basis, with no need for an overnight hospital stay. You can rely on our efficiency, precision, and commitment to your health and safety. At SPINE/RX, we work with most insurance plans that offer out-of-network benefits. Most patients have insurance options that allow us to fully treat their orthopedic conditions while respecting their healthcare budget. To discuss our accommodating insurance and financing options, contact a SPINE/RX team member today! What are my post-surgery expectations? Will I be in pain? Will I need a brace? After surgery, you can expect to experience general post-op side effects, such as soreness, stiffness, and drowsiness. In most cases, over-the-counter pain medication like ibuprofen or acetaminophen can help relieve soreness. Make sure to drink plenty of water, ice sore or stiff muscles, and rest as much as possible, unless advised by our team otherwise. Our surgeon will give you thorough instructions about how to care for your spine after surgery. You can also expect to have a follow-up visit with our medical team some time after your minimally-invasive procedure. At that time, we’ll be able to assess what further treatments are needed to ensure less scarring and soreness. How long does it take to recover from spine surgery? Recovery times vary based on patient and procedure. Our minimally-invasive procedures are designed to shorten recovery periods and get you back to resuming normal activities as soon as possible. In some cases, additional therapy is needed to restore motion to your spine and joints. This can include anything from physical therapy to injections, medications, acupuncture, or chiropractic. SPINE/RX is conveniently located in Hoboken, New Jersey near public transportation and easy parking. For more information about our location, visit Our Location page. We are pleased to serve patients from Hoboken, Bayonne, Union City, Jersey City, Newark and the greater Hudson and Essex County region. 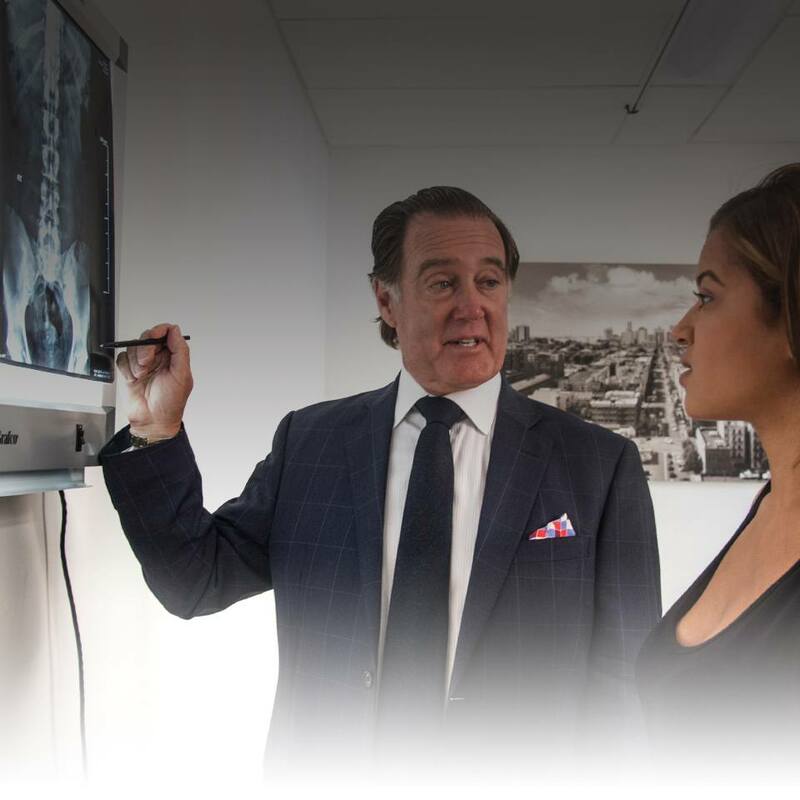 SPINE/RX is a leading provider of minimally-invasive spine surgery in North Jersey.